This gentle, effective and non-stripping treatment is the most cleansing of our Rare Treasures collection, helping to cleanse the hair and scalp of excess dirt, oil, sweat and pollution. 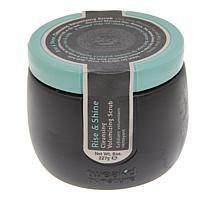 It provides the perfect balance for summer moisture and conditioning, even for the driest hair. In a test, after just one application of Tweak-d by Nature Wild Summer Apricot Cleansing Hair Treatment, hair had a 93% reduction in breakage on chemically bleached, brittle, dry, damaged and frizzy hair vs. untreated control rinsed with water. - Test results obtained during wet combing. In a test, just one application of both Wild Summer Apricot Cleansing Hair Treatment and Wild Apricot Revitalizing Hair Treatment Mist demonstrated a reduction in hair breakage of 88% when applied to chemically bleached, brittle, dry, damaged and frizzy hair. 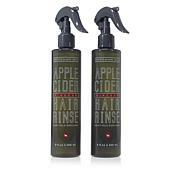 Apply Cleansing Hair Treatment to dry hair before you bathe, without water. 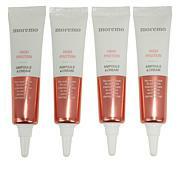 Dispense a small amount of product into the palm of the hand and emulsify; apply to dry hair, mid-shaft to ends. Soak hair and re-apply evenly onto wet hair; detangle beginning from your ends to your roots. Massage for about 1 minute, starting at the scalp and then work through to the ends. 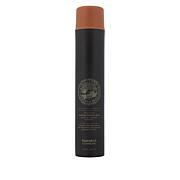 TWEAK-D WILD APRICOT MINI CLEANSING HAIR TREATMENT 3 FL. OZ. I've been on auto delivery for the 3pc set, but cancelled since I've only been using this cleanser. 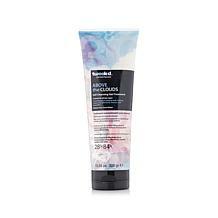 It makes my hair feel clean and bouncy, surprising since there is no lather. I would not want to be without this shampoo. I'm going back and forth between this and Wen. I'll never give up Wen completely, but my hair feels cleaner and bouncer with this one. I love, love love this product! My hair has been dry lifeless and flat to my head. 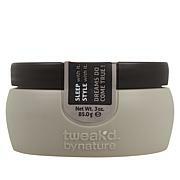 I have switched products then switched again to no avail until I found Tweak-d Wild Summer Apricot. I put a nickel sized amt. in the palm of my hand and massage it into my wet shoulder length hair then just rinse out and it's squeaky clean! My hair dresser couldn't get over how healthy my hair has become either. I just bought this smaller tube to travel as I don't want to go back to "normal" shampoo! My hair never looked this amazing. Soft bouncing and smooth. A little goes along way. Will buy in a larger size next order. Ive tried so many different shampoos, conditionsers and conditioning cleaners. Ive even tried the dhatello from Tweakd and had nice results but nothing great. The Wild Summer Apricot makes my hair look great. I dont even have to use a hair dryer or flat iron. 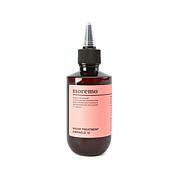 I can simply use this treatment and the Amber Vanilla spray, let my hair air dry and its bouncy, and shiny with those beachy waves that I could neve achieve before now. I really want The Wild Summer Apricot full-size on Autoship. The first thing I noticed about the hair treatment was the invigorating scent of apricot. I luv this product! Give this hair treatment a try your hair will be glad you did!